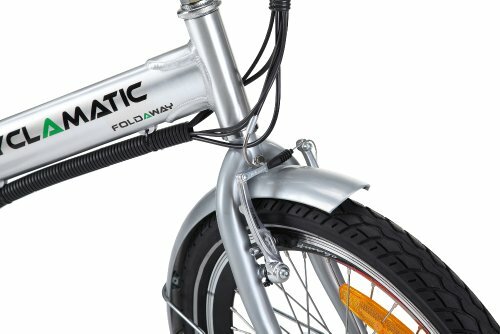 New from the Cyclamatic range is the Foldaway Electric Bike. 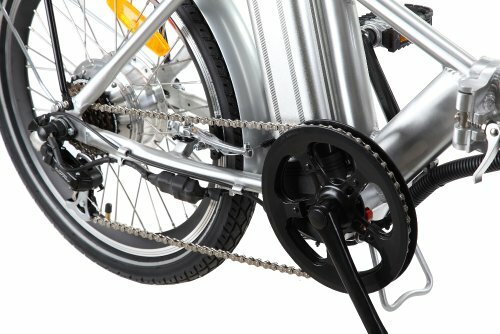 Previously Cyclamatic brought the Power Plus bike which proved that the electric bike could be both a viable method of transport as well as affordable. 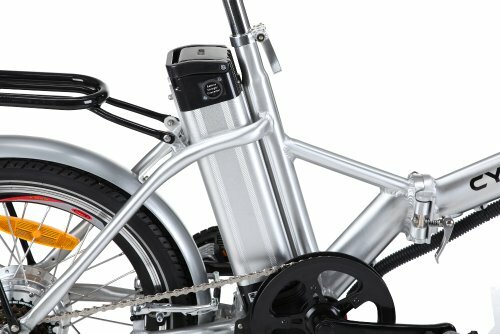 These folding bikes offer quality and portability teamed with strength, power and versatility which has never been matched.Ideal for travelling holidays and those with minimal storage space, the e-bike folds quickly and easily into an incredibly compact space. 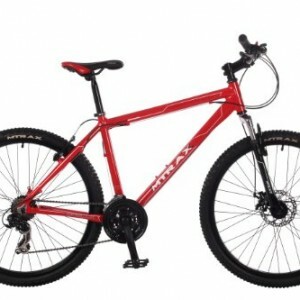 The bike folds at a mid-point on the cross bar and the stem of the handle bar with a unique quick-lock-release system. The bike is fitted with a tilt-lock seat which facilitates easy battery removal for charging. 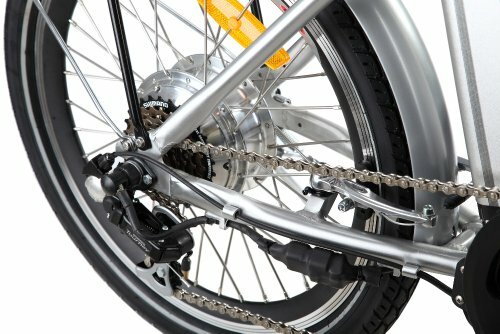 Quick release front wheel. 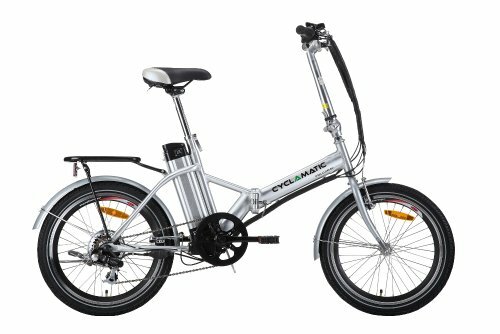 Fitted with a 200w motor the foldable bike will easily assist you to travel at the 15mph road speed limit, with maximum speed of 20km/h. The brushed motor is extremely low maintenance promising a healthy motor life. Capable of a 45km range on normal terrain. The upgraded 24V and 8AH lithium-ion battery provides huge power you can rely on when you need it with a very low self-discharge rate. 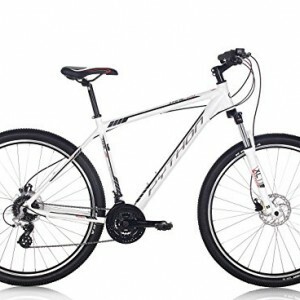 • Samson Champion tyres • Natural Polished aluminium frame • Shimano Tourney SIS-Index gears • Cables bound to keep the tidy and protected from damage when folded • 6 speed Shimano gears with quick change • Front and rear mud guards • Front and rear V-brakes for rapid deceleration • Bell and reflectors • Spring loaded kickstand • Legal for road use – no road tax or driving licence required. Legally, no helmet nor insurance required (although we recommend both!). 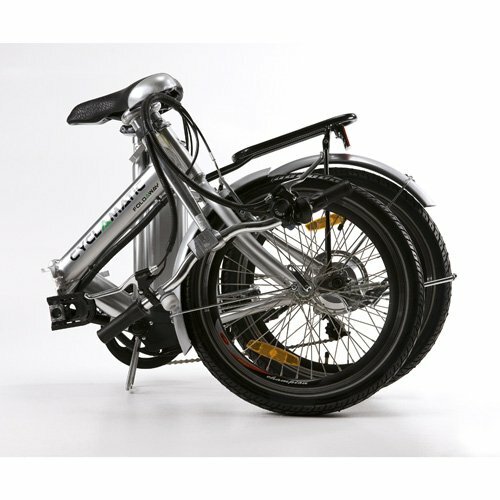 • Suitable for use from age 14 upwards , Maximum user weight 110kg • Total bike weight including battery 23 kgsDimensions:• Assembled: 163cm x 110cm• Folded: 90cm x 70 cm• Seat: 80cm -108cmCyclamatic is very easy to assemble as most of it is done for you. 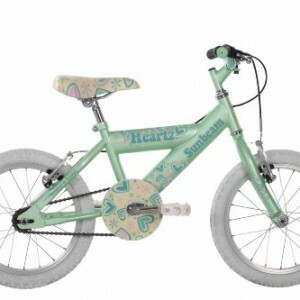 All you have to do is fix the front wheel, handlebars and seat into place. New Lithium-ion battery provides huge power (up to 30km range) and weighs a fraction of traditional lead-acid batteries. Also won’t suffer ‘memory effect’ and has a very low self-discharge rate. It is also safer, and more environmentally friendly, than standard batteries.